Replaying the old classics wasn’t all bad, though. As well as the experiences that no one would be caught dead designing, there were a few things I noticed that have carried over into highly praised apps. This post is about the evolution of UX — although we know it now as a way to keep users sticking around — this is from a time period when it wasn’t so much of a big deal. I got to play a lot of games, record the screen and see UX and video games in a new light. 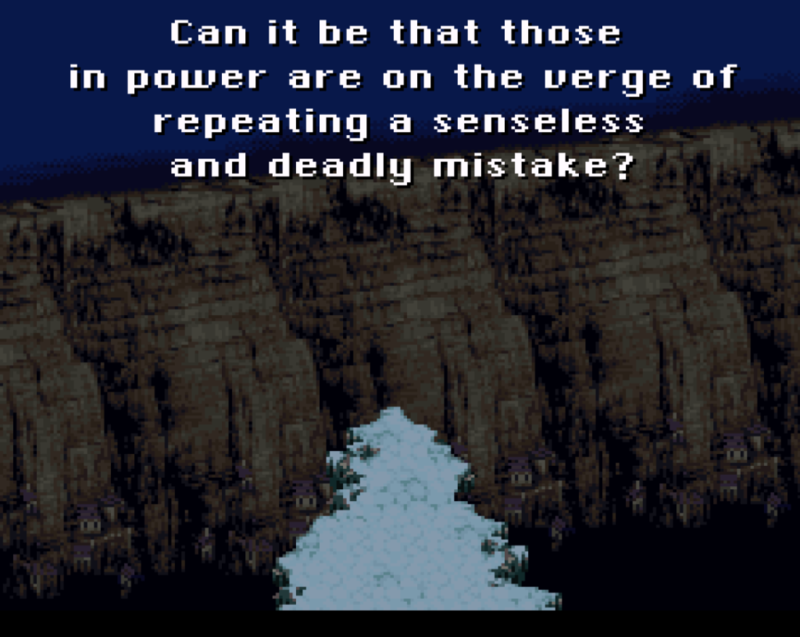 It’s about the good and bad parts of 1990s Japanese video games, and what we should (and shouldn’t) learn from them today. I’ve looked before at how Microsoft hid user onboarding lessons inside Minesweeper and tricked users into adapting to a GUI, and it seems this is an equally ancient example. It’s the same idea. 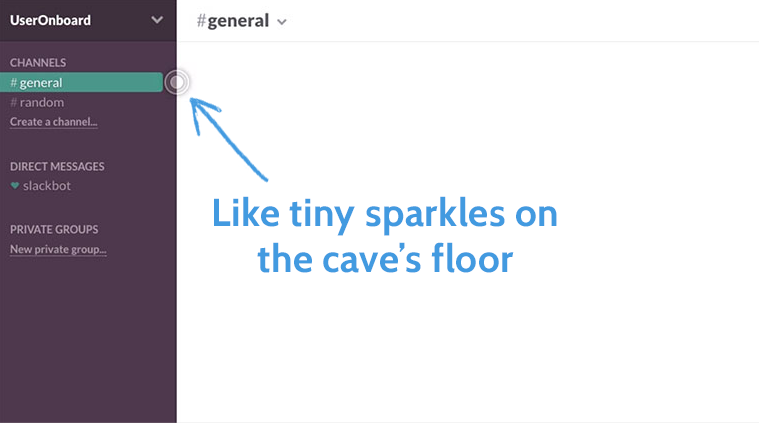 A transitory, floating point of interest — sparkles on a cave floor. A tiny piece of information hidden in the UI to help users learn as they go, instead of having to break out the biblically oversized user manual. The death of the instruction manual and move toward learning by doing is common in all kinds of onboarding, much as relying on someone to get from 0-60 on their own isn’t necessary or expected when there are other ways of teaching. There are some pretty good arguments against spending design time on microinteractions, but in video games, it’s part of the immersive experience. 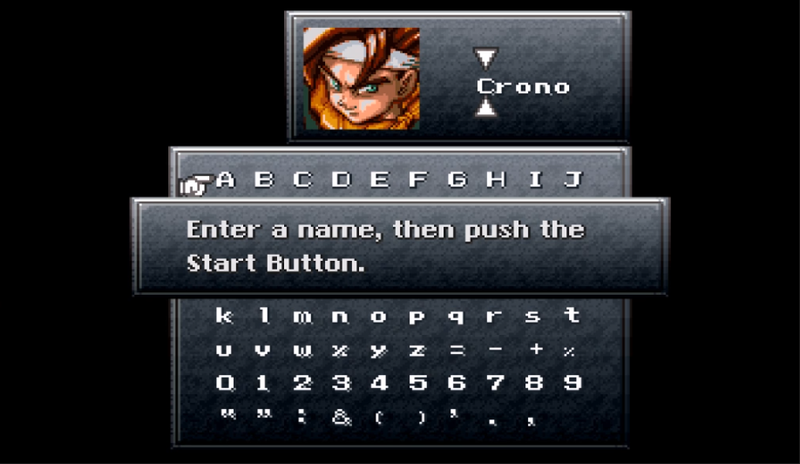 Chrono Trigger is one of the few SNES RPGs I’ve played where poking around mundane rooms pays off. In the very first room, when your mum wakes you up, it’s possible to open and close the curtains. You can’t appreciate the wonders of modern menu navigation if you’ve not been through some of the more poorly designed UIs from the 1990s. When you press “Choose” on the floating arrow, there’s no explanation as to what any of these things are. Why would(n’t) I want “Magic” assigned to R? What even does it mean? It’d be far more helpful not to force this before gameplay, and to leave it as a preferences menu somewhere in-game. It even comes with a little onboarding primer, unlike the menu in Breath of Fire, which surfaced before I even saw what the game looked like. Like Samuel Hullick points out in his teardown of Peach’s user onboarding flow, that’s much better than the default silhouette and [username not entered]. This reduces friction at the most vital moment — first use. At a high level, a user interface consists of two groups of things: things with which you can interact and things with which you can’t. Badly designed interfaces make it difficult to decide straight away whether an element is interactive, whether it’s for displaying data or just for decoration. With SNES games, it’s sometimes a matter of trial and error to find which parts of the screen you can interact with, but unlike apps with freeform (mouse/touchscreen) controls, the number of options is limited to wherever you can move the cursor with the arrow keys. If you can’t move your cursor there, you can’t interact with it. 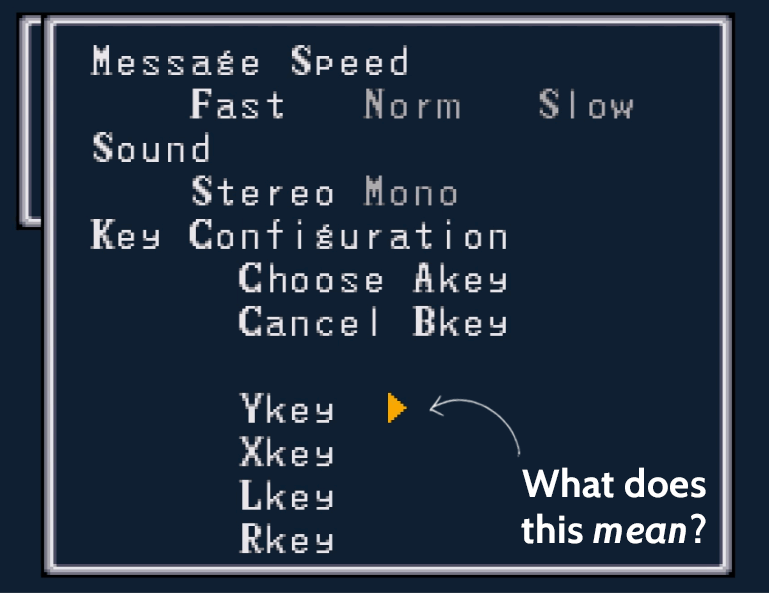 That leads to confusing interfaces like the one I looked at earlier from Breath of Fire — how was I supposed to know there’s an input field there? In the same way Final Fantasy III shows you a part of the environment is interactive, there are parallels in modern apps. With touch/mouse-controlled UIs, the user could theoretically click anywhere. The awkward Breath of Fire menu shows that interactions can be misleading, even when there are limited places to “click.” Peach’s enticing button looks tappable, but it gives you an error message; Buffer has the balance right by showing buttons you can’t interact with by keeping them gray. The story unfolds over the course of a painfully slow 5-10 minute cut scene of sprites shuffling around, and references to an array of names and places you have no idea about. But that’s what fantasy stories are, right? It’s the same deal when you start with a new app. Part of the user onboarding process is reducing that initial overwhelm factor. 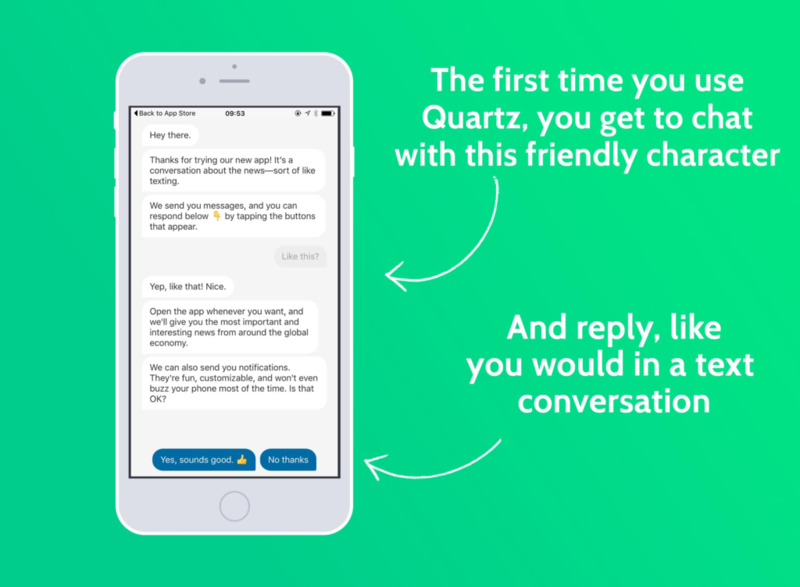 Quartz does a good job at this by situating the app in a familiar environment — texting — with a talkative AI. Did 1990s video games care about UX, anyway? Setting aside some obvious clunkers like Dragon Age 6 and Breath of Fire, it seems like the user experience of SaaS apps have been informed by the past. Some, like Duolingo and Habitica, take direct inspiration from old-school RPGs. It’d be unfair to say 1990s video games didn’t care about UX, but unlike today — 14 years after the first major UX primer came out — it wasn’t a high priority. After all, until now I never complained about Final Fantasy’s UI — I sat down, shut up and played it until 4 am. ← Are You Asking the Right Questions When Conducting User Research?